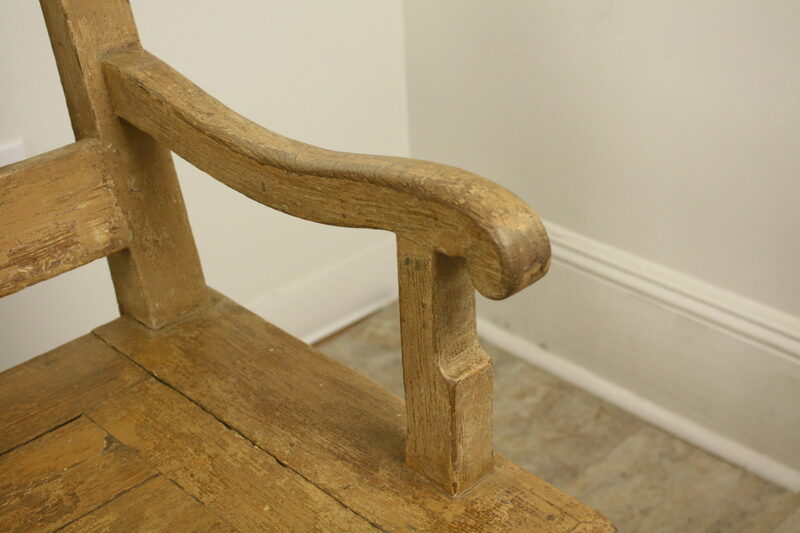 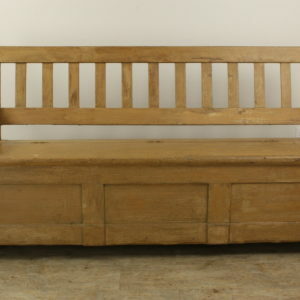 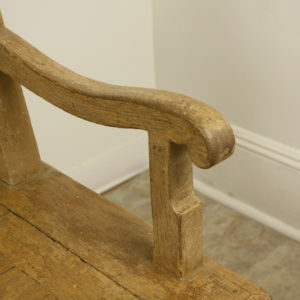 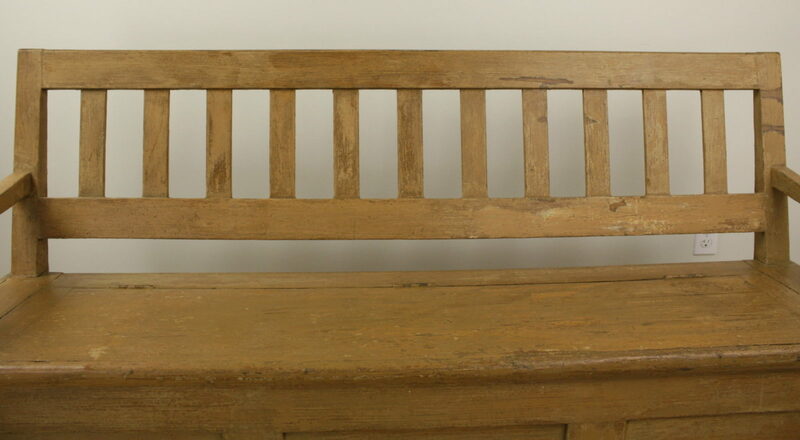 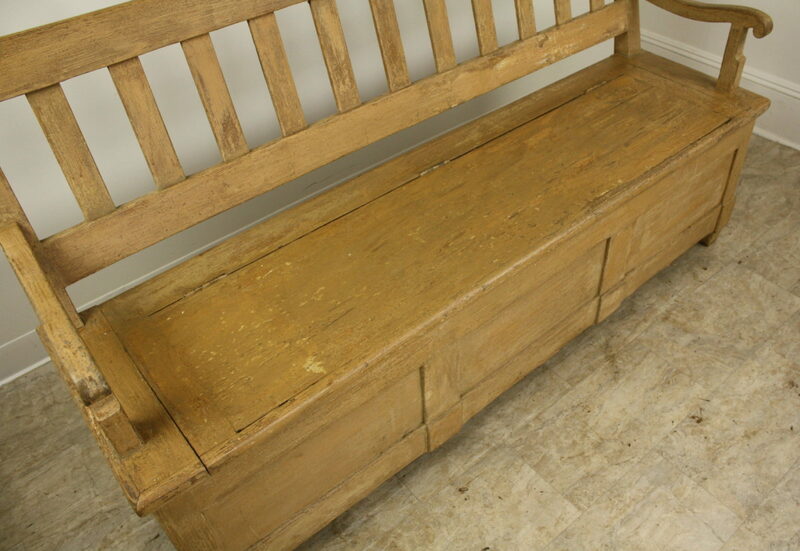 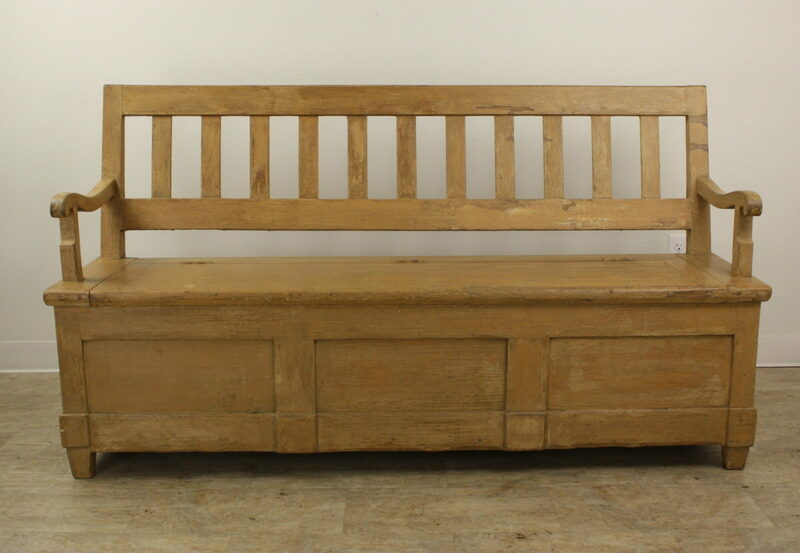 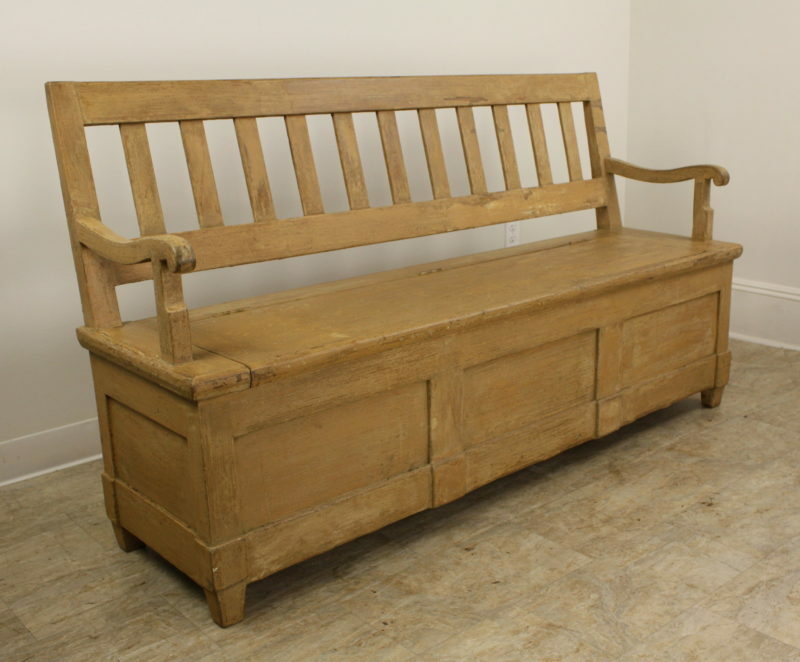 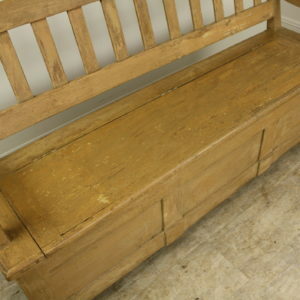 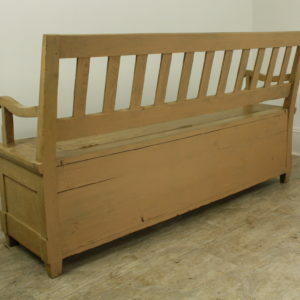 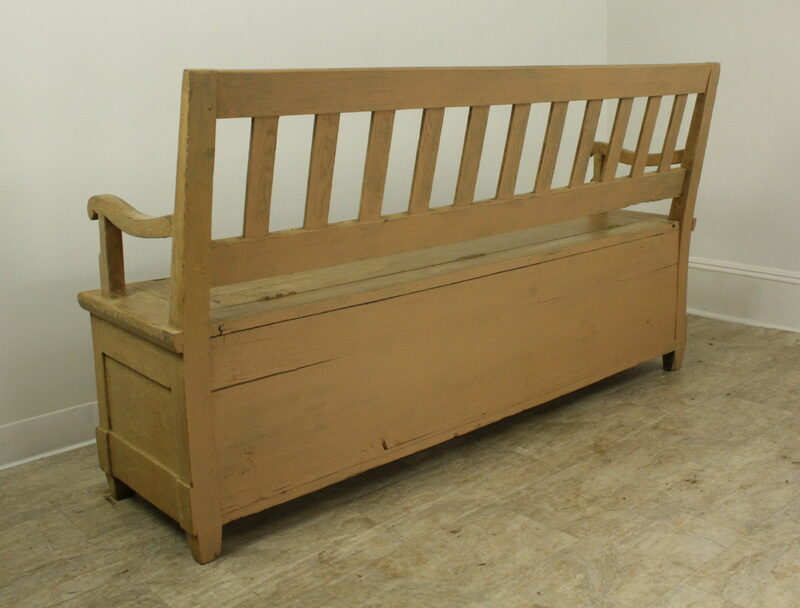 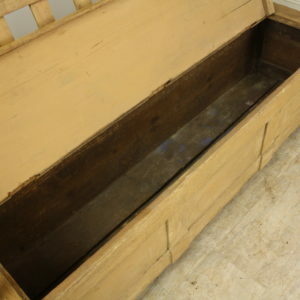 A large mixed wood settle, bench or sofa in distressed yellow paint. 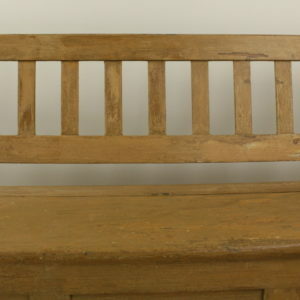 The seat is deep and comfortable and would be enhanced by a thin cushion, although none is necessary. 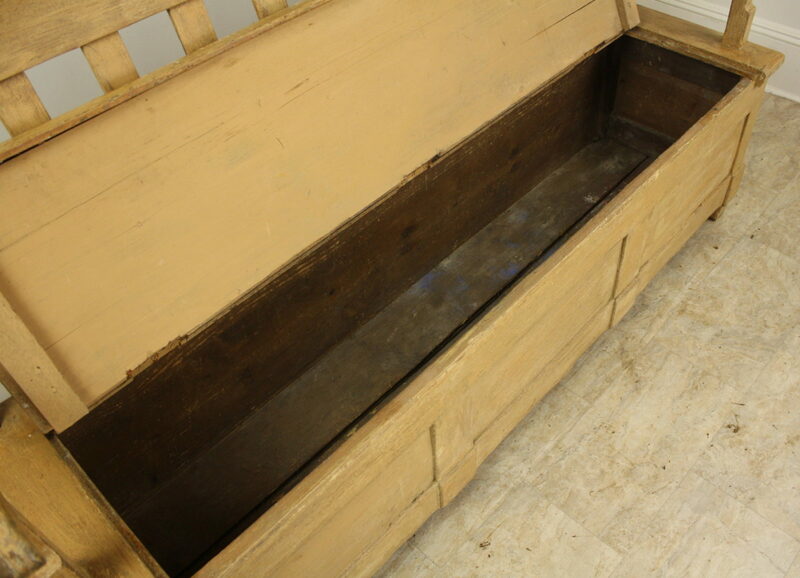 It flips up for storage. 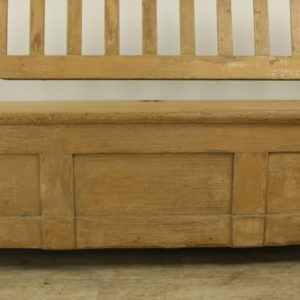 Inset panels on the base add a decorative note.